Wood Flooring USA constantly works to bring the best discount flooring deals in NYC, New York. 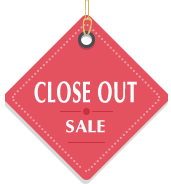 Visit our close out sale section to find most affordable discount wood flooring deals in town. Revive the beauty of your hardwood floors by getting our hardwood flooring sanding and refinishing services. 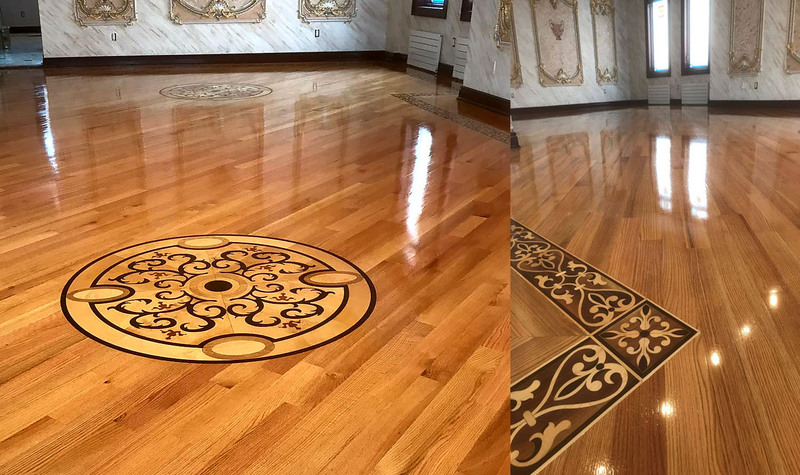 We offer Wood Flooring Sanding and Refinishing services in Manhattan, Brooklyn, Long Island, Staten Island, Queens and entire NYC. We are a Wood Flooring Sanding & Refinishing Contractor and Specialists in Manhattan, NYC. Find exceptional color tones and reasonable pricing. We install, sand and refinish wood floors in Manhattan, Brooklyn, Long Island, Staten Island, Queens and entire NYC. Choose from a variety of border flooring or get your home or office custom made border flooring at affordable prices. We offer floor sanding & Refinishing service for border floors. We are top floors provider in Manhattan, Brooklyn and entire NYC. Increase value of your living space with new wood floor installation. We offer floor installation services in Manhattan, Brooklyn, Long Island, Staten Island, Queens and entire NYC. Click to view our floor installation projects and details. Unique and beautiful parquet floor designs in NYC at affordable prices. We install Parquet flooring in Manhattan, Brooklyn, Queens and entire NYC. Our team is expert in parquet floors installation. SEEMS UNFAIR THAT I ONLY GIVE THEM A MERE 5 STARS .They are beyond his team are experts in their field.their attention to detail is outstanding!!!!!!! !.IF YOU WANT ABSOLUTE PERFECTION AND PROFESSIONALISM THEN CALL WOOD FLOORING USA AND ASK FOR ALEX> THANK YOU FOR GREAT JOB. couldn't have been happier with the experience I had with Tatyana. If I could have given them 10 stars I would have. The cost of the service was more than fair..they arrived days before they predicted they could get to the job. They did an excellent job Beautiful work! Our floors are gorgeous!I have already recommended them to friends and family. I was very satisfied with Wood Flooring USA. Welcome To Wood Flooring USA!!! Wood Flooring USA is a hardwood flooring installation, repair, floor sanding and refinishing company. Wood Flooring USA is a family owned licensed and insured, local NYC flooring company. With over 15 years of experience and great customer service, Wood Flooring USA brings the best quality floors for our prestigious customers. Located in Brooklyn, NYC we specialize in the best quality wood floors, hardwood floor installation, floor repair, floor sanding and refinishing. We are a full service hardwood flooring company offering; laminate flooring, engineered timber flooring, bamboo flooring, solid hardwood flooring and vinyl flooring. With a huge list of satisfied flooring customers in NYC and surrounding areas, we are wholesale distributors of wood floors throughout US. Our flooring service includes, floor sanding and refinishing, floor repairs and custom floor installation. Wood flooring is a great way to increase value of your living space. Review the gallery section to see some of the pasts flooring jobs carried out in tri-state area. Our flooring experts have had the honor of serving many real estate companies, contractors, interior designers and homeowners who are extremely pleased with floors we installed for them. We offer reasonable pricing and excellent floor installation or refinishing service. We update our website with all the flooring jobs we carry out. Wood flooring adds to the beauty of your residential or commercial space. Our goal is to facilitate, residential and commercial areas for their flooring needs. We offer wide range of flooring brands, borders, medallions, parquet flooring, wide plank flooring and much more. For every wood flooring category we have created a separate picture gallery, be it medallions, borders, floor sanding, floor refinishing, parquets flooring or wide plank flooring. You can browse through before and after pictures for all these wood flooring categories. We ship in 50 states and provide special packages on labor and installation services. Wood Flooring USA is located at 1780 Stillwell Ave Brooklyn, NY 11223. 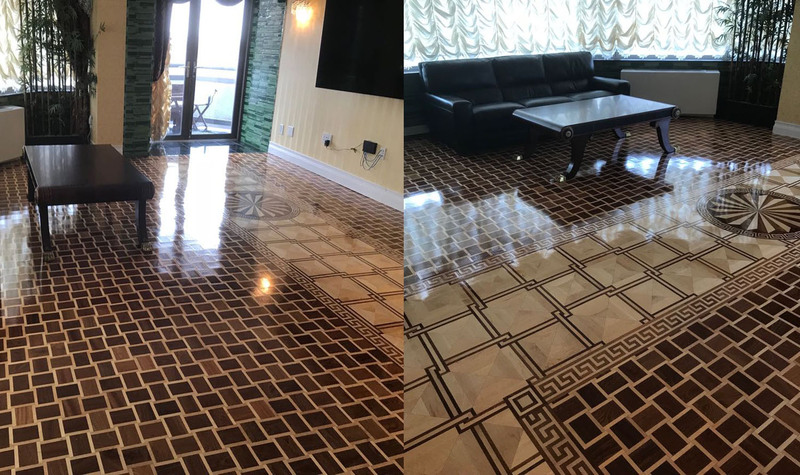 If you are looking for flooring services in Brooklyn, Manhattan, Long Island, Queens, Staten Island, Bronx or Queens, we are just a phone call away to serve you! You can call us at (718) 266-3812 for advice on wood flooring for your home or business. 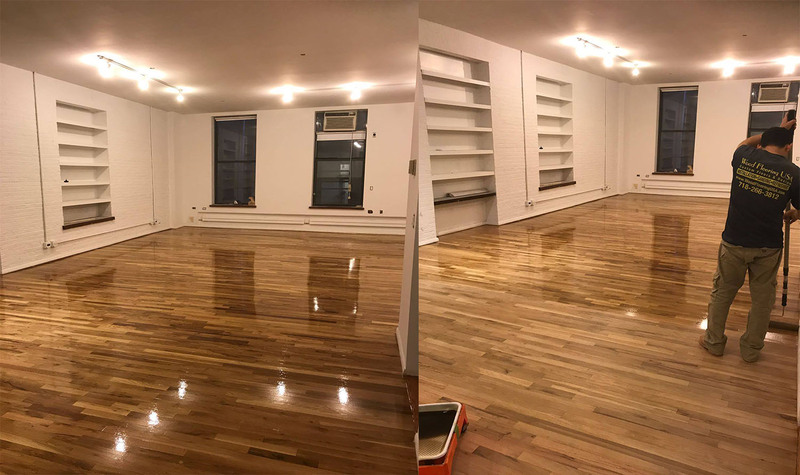 Wood Floor Installation: Serving Manhattan ( Upper East Side, Lower East Side, Harlem), Brooklyn, Queens, Staten Island, Long Island, Westchester NY and entire NYC. Wood Floor Sanding: Serving Manhattan, Brooklyn, Queens, Staten Island, Long Island, Westchester NY and entire NYC. Wood Floor Refinishing: Serving Manhattan, Brooklyn, Queens, Staten Island, Long Island, Westchester NY and entire NYC. Wood Floor Repair and Restoration: Serving Manhattan, Brooklyn, Queens, Staten Island, Long Island, Westchester NY and entire NYC. Staining Hardwood Floors: Serving Manhattan, Brooklyn, Queens, Staten Island, Long Island, Westchester NY and entire NYC. Wood Floor Polishing: Serving Manhattan, Brooklyn, Queens, Staten Island, Long Island, Westchester NY and entire NYC. Hardwood Floor Supplies: Serving Manhattan, Brooklyn, Queens, Staten Island, Long Island, Westchester NY and entire NYC. On site free of cost Estimates: Provide on site free of cost estimates for floor installations, sanding and refinishing and floor repair and restoration. We offer our flooring services in Manhattan, Brooklyn, Queens, Staten Island, Long Island, Westchester NY and entire NYC.